On October 13th a report by the BBC Jerusalem bureau’s Yolande Knell appeared in the ‘Features’ section of the BBC News website’s Middle East page under the headline “Fifa urged to give red card to Israeli settlement clubs“. Knell opens her piece with an account of some pre-planned agitprop which took place on the eve of Yom Kippur. “A dozen Palestinian boys dressed in football kit and carrying balls, march towards a Jewish settlement in the occupied West Bank. Israeli police and soldiers come to block the way as they approach the gates of Maale Adumim, where some 40,000 Israelis live, to the east of Jerusalem. Surrounded by journalists, protest organiser, Fadi Quran, tells a senior officer that the children want to play a game in the local football stadium. “You know exactly why they can’t come in,” says the officer. “Is it because they’re Palestinian?” Mr Quran asks. “No, no, because you need a permit,” the officer replies. Were it not for reports like this one from a member of the pre-conscripted press pack, “people in the world” would of course know nothing about the exploitation of a dozen boys for a campaign which has nothing to do with sport and everything to do with the political campaign of delegitimisation of Israel. But despite the BBC’s decision to use its world-wide reach to put wind in the sails of this particular political campaign, its editorial standards concerning accuracy and impartiality should at least ensure that audiences would be told the whole story. That, however, is not the case in Knell’s report. The ‘star’ of Knell’s account of the event is the man she tepidly describes as “protest organiser” Fadi Quran. BBC audiences receive no information concerning Quran’s affiliations and are not told, for example, which organisation – if any – he represents, who funded the boys’ transport to Ma’ale Adumim or who paid for the identical T-shirts they and Quran are seen wearing in the photographs which accompany the article. A closer look at those T-shirts and the accompanying placards shows that they bear the Avaaz logo and that would come as no surprise had BBC audiences been informed that American citizen Fadi Quran is a “senior campaigner” for Avaaz. A former employee of Al Haq, Quran is also a “policy member” at Al Shabaka and a “Popular Struggle community organizer”. Obviously that information is critical to audience understanding of the wider story behind the agitprop she describes, but Yolande Knell refrains from providing it to her audience. She goes on to ostensibly provide readers with the background to that “small protest” but similarly fails to inform them that the meeting to which she refers is the fruit of a long-standing Palestinian campaign to use FIFA to delegitimise Israel. “The small protest is soon over but it has symbolic significance ahead of this week’s meeting of the council of world football’s governing body, Fifa, in Switzerland. 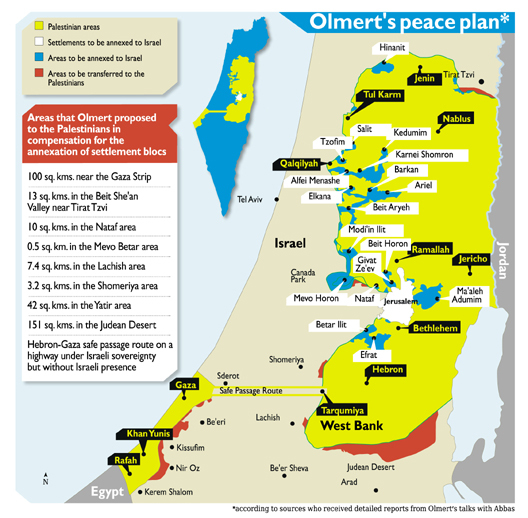 Knell’s reporting once again falls short of editorial standards of impartiality when she presents a one-sided portrayal of ‘settlements’ while failing to inform readers that all those communities are located in Area C which – according to the Oslo Accords, to which the Palestinians were willing signatories – is to have its final status determined through negotiations. As readers are no doubt aware, the BBC’s editorial guidelines on impartiality require clarification of the “particular viewpoint” of outside contributors but Knell makes do with the inadequate term “advocacy group” when describing the political NGO Human Rights Watch which has long been involved in lawfare campaigns against Israel. “The advocacy group Human Rights Watch (HRW) suggests the IFA should be made to move all Fifa-sanctioned matches inside the internationally-recognised boundaries of Israel. “By holding games on stolen land, Fifa is tarnishing the beautiful game of football,” says Sari Bashi, HRW’s country director for Israel and Palestine. The HRW report to which Knell provides readers with a link was already given context-free and partial promotion on the BBC World Service last month. Significantly, the HRW country director quoted by Knell has also found it appropriate to give an interview on the same topic to the BDS campaign’s South Africa branch. As has previously been documented here, the Jahalin tribe’s claims of ownership of the said land have been examined – and rejected – in courts of law. Knell similarly amplifies a specific political narrative when she promotes – as fact – the notion of “Israeli restrictions” on Palestinian footballers without any mention of the very relevant context of the links of some of those players to terrorist organisations. “…a monitoring committee was set up, headed by the Fifa official Tokyo Sexwale, a South African politician and former anti-apartheid activist. And of course Knell’s portrayal of the topic of Palestinian football does not extend to telling her audiences that one team saw fit to ‘honour’ a terrorist who murdered two Israelis in Jerusalem only this week. BBC audiences are of course no strangers to Yolande Knell’s signature blend of journalism and activism and this latest report provides yet another example of her serial amplification of political narratives and campaigns in the guise of ‘news’. And yet, the BBC remains silent on the issue of Knell’s repeated compromise of its supposed editorial standards of impartiality. In the early hours of February 26th a security guard at a shopping centre in Ma’ale Adumim was brutally attacked by a terrorist armed with an axe. The terrorist fled the scene and the badly wounded victim was later found by cleaning staff. “At approximately 1:15 am, police received a report of a man who had been stabbed at a mall in the city. A large number of police forces converged on the scene, where they spotted the security guard lying on the ground with multiple slash wounds. The victim – Tzvika Cohen – is still in a very serious condition. The suspect – who worked at the same shopping centre – was arrested on February 28th after a family member contacted the police. There has been no BBC coverage of that attack or the subsequent developments in the case. On February 29th the Israeli security services announced the arrest of two snipers from Hebron who carried out several attacks in recent months, including one on November 6th in which two youths were wounded and one on January 3rd in which a female soldier was shot. “The brothers – named by the Shin Bet as Nasser Badwi, 23, and Akram Badwi, 33 from the Abu Sanina neighborhood of Hebron, carried out a number of attacks including the shooting of worshippers at the Tomb of the Patriarchs on November 6th that left two people lightly to moderately wounded. Neither the November attack nor the January attack received any coverage from BBC News.